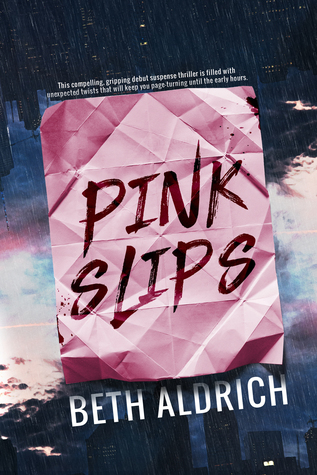 Pink Slips is a riveting tale of one woman’s desperate plight to keep her loved ones safe, even in the sights of a mysterious stalker. What served as the inspiration that made you want to write this suspenseful novel? Fourteen years ago I was home alone with my newborn baby when I received a violent anonymous phone call. Flash forward to this year… I was working on a writing prompt asking to recount “receiving an anonymous phone call or note”. I instantly was transported to that frightful night. The story evolved as I fueled the idea with the “remembered fear” I experienced that night. I imagine that many women have had a similar scary situation, which made me think it would be a relatable story. I found Betsy to be a very well written and in depth character. What was your inspiration for her and her emotional turmoil in the story? Betsy is modeled after me in some ways. I have some of the little habits that she has, including talking to her dog as if Barney understood her. I’m confident my two Tibetan Terriers understand every word I say! I fueled some of my fears and concerns for safety into her persona, however the violence she experiences is completely fictional. Like Betsy, I’ve had my share of pregnancy issues, giving me authentic experiences to draw upon. My marriage is very happy, whereas Betsy’s needs some work! The emotional turmoil within Betsy grew with her characterization. At first she was just a victim of a parking lot mugging, but as the story developed, she gets pummeled in every chapter. Once I read a article about writing, where it said, “…happy stories are boring… add conflict where you can.” I throw a lot at Betsy, but as the story progresses, so does her strength and belief in herself; so I guess the conflict was needed in my manuscript. What were some themes that you felt were important to highlight in this book? The key theme in the book was shining the light on women’s safety in an information-sharing world. Nowadays, you can learn so much about people through social media, everyday forms we fill out, and even in medical offices. I’ve always tried to teach my children the importance of security, but this book highlights how we are all vulnerable. Another theme in the story, focuses on humans special contact with their pets. They are a part of our family and they rely on us. It’s only natural that there’s a mutual love and respect between us. Another theme is being “open” to your own intuition. We all have it (especially pregnant women), yet are often too busy, moving, talking, and “doing” every day, that we don’t always take the time to “listen”. There’s a lot to learn in silence. Are there any emotions or memories from your own life that you put into Betsy’s life? To uncover the mystery behind the threats, she enlists the help of an unlikely, but oddly reliable source, her dog Barney. 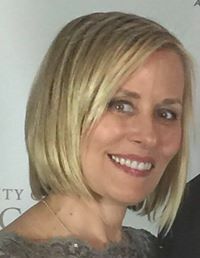 As the menacing notes continue to arrive, her husband is still out of town for work, and she struggles to keep her composure while shielding her two young sons from danger. She trusts no one except her parents, best friend Misty, and her extraordinary dog—who has proven to literally understand everything she says. Is this person out to harm her? And how do they have so much personal information about Betsy? She can’t help but think it’s the same person who attacked her at the train station almost a decade ago, and changed the course of her life forever. To save herself and her unborn child—Betsy must face her fears and find her strength, to reveal who is after her and most importantly…why.